Fox Manya, whose burrow is located 400 meters from the cordon “Semyachik” gave birth to two foxes about 5 weeks ago. 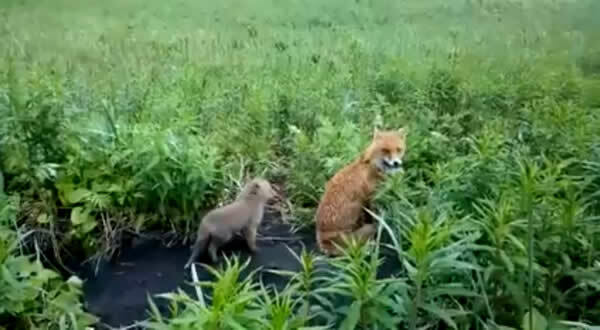 As the state inspector Vladimir Aksenov, who has been watching her for several years, is the first brood of a fox. The newly mum got used to the man and, without fear, showed him her first-born. To remove on video it was possible while only one fox.